Dozens of hostages, including children, have been freed in a Philippines village after armed terrorists stormed a local school. The hostage situation was resolved after a day-long shootout with government troops. No civilian casualties are reported. “The enemy made a hasty withdrawal, leaving behind 31 hostages, among them 12 youngsters,” a military spokesman, Brigadier General Restituto Padilla, said, as quoted by Reuters. 20 others, caught in the crossfire, have also been freed. “It’s over… but we’re also on guard because they might carry out other attacks,” Padilla added. Government troops have been engaging members of the Bangsamoro Islamic Freedom Fighters (BIFF) after the terrorists partly overran the village of Malagakit, located just outside of Pigcawayan town, Chief Inspector Realan Mamon said. According to Padilla, 50 Islamist fighters raided the Christian-Muslim village. Earlier police reports said there were nearly 300 armed men. 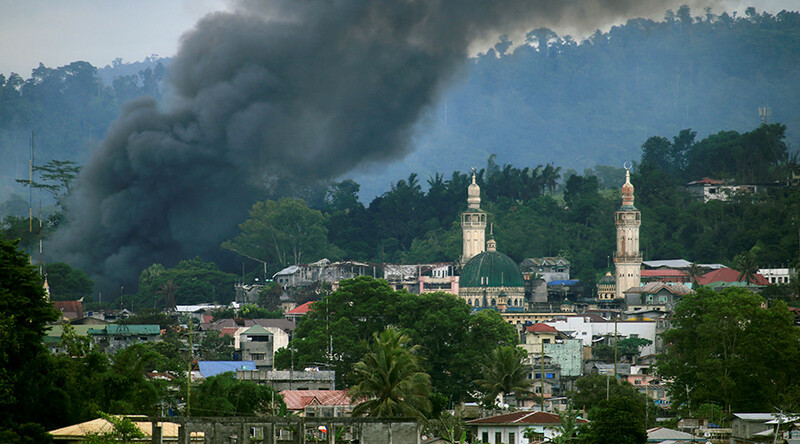 The assailants, however, claimed that they did not take people hostage, but were merely protecting them from government troops, promising to release civilians. “We protected them [the hostages] from the bullets from [the] Army. We will release them later. We did not use them as human shields,” BIFF spokesman Abu Mama Misri told the Inquirer on the phone. Pigcawayan Mayor Eliseo Garsesa revealed that authorities had received intelligence reports about text message chatter that the “armed groups were coming.” Garsesa, however, said that such messages were common, and it could not always be verified, the Manila Times reports. Initially, the Philippines Army was unable to determine whether there had been any captives and whether students and teachers were among them. The gunmen targeted an army outpost and a patrol base of a pro-government militia, before being repelled by army units, Restituto Padilla said, according to the Sun Star. The raid, he added, was aimed at disrupting the ongoing government offensive against the ISIS-linked Maute group.